Champagne bottle sparklers are a really great way to give a special experience to your customers that buy premium VIP packages. Our line of products can increase the sales of your premium packages because folks are attracted to the spectacle. 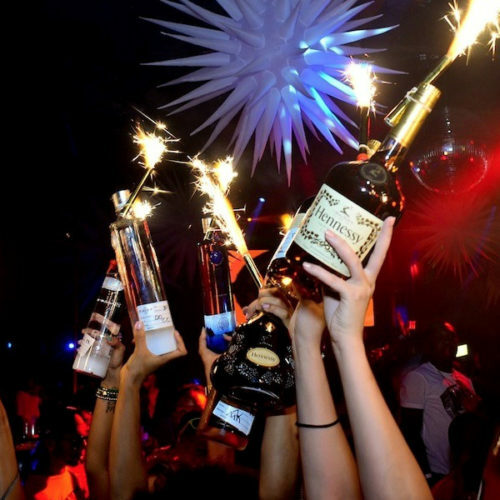 Most commonly, our items are used as champagne bottle service sparklers because of the high cost associated with premium spirits. However, they also work great for liquor and wine too and last a long time. Adding a gold bottle sparkler to your VIP packages will cost less than $1. It will enable you to charge more while also increasing the number of packages your customers purchase. One of the largest profit makers in the bar and nightclub industry is VIP package sales according to Nightclub and Bar Magazine. Your customers are choosing to buy premium champagne, wine, or liquor for the better flavor and special treatment usually given to a group making that type of purchase. Therefore, making the presentation more interesting and exciting can go a long way too. Simply attach a few of our items with a safety clip before delivering it to the table. You can make the experience seem much more valuable and draw a lot of attention to what is being delivered. The extra attention that they provide will cause more people to buy your VIP bottle service and also allow you to charge a little more for the trouble. Increasing the number of purchases you get each night by just adding champagne bottle sparklers to the equation is simple. It’s also an immediate way to start earning more profits on day one. For added value, we offer free shipping on all orders over $50! Our economy shipping option will be delivered via FedEx SmartPost. It’s a high quality service, and items usually arrive quickly enough for most customers. However, some club owners need their items faster and can’t wait a long time. For a small fee, we will upgrade you to ground shipping for the fastest delivery possible. As always, we try to ship each order the day it is placed. It’s part of our unwavering commitment to being a reliable source for your needs. 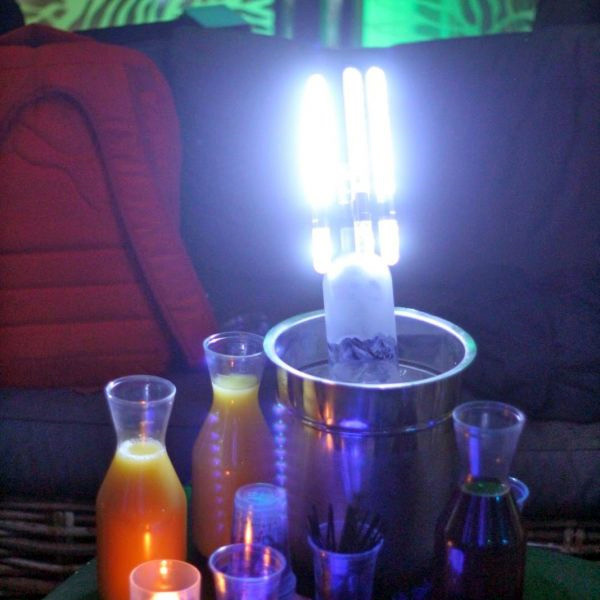 Many nightclubs use a lot of our products and prefer to buy in bulk. We offer wholesale club packages in a variety of sizes. When you order at wholesale quantities, you will get the best possible pricing. You will get our same high quality bottle sparklers and safety clips. However, we will give a deeply discounted prices for buying in bulk. If you sell a lot of VIP packages, you want to make it as cheap as possible. Fortunately, our wholesale club packages are the most affordable way to go. We’ve made attaching club sparklers to your champagne or spirits as simple and safe as possible with our exclusive bottle sparkler safety clips. 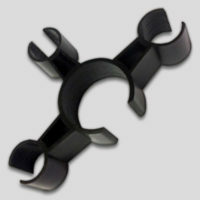 Each clip attaches to the bottleneck, and then you simply snap one of our items into the clip. 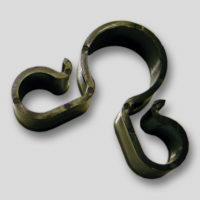 We also offer double and triple clips if you prefer to attach multiple ones at a time. Each clip is completely reusable, and they will hold your champagne sparklers securely and safely for many uses. You can buy our safety clips individually, or they are also available as part of our wholesale club packages. We understand that local restrictions and fire codes can prevent club owners from using sparklers for bottle service packages. Fortunately, we’ve come up with a few alternatives. This will allow you to highlight your VIP package offerings without the need for an open flame. 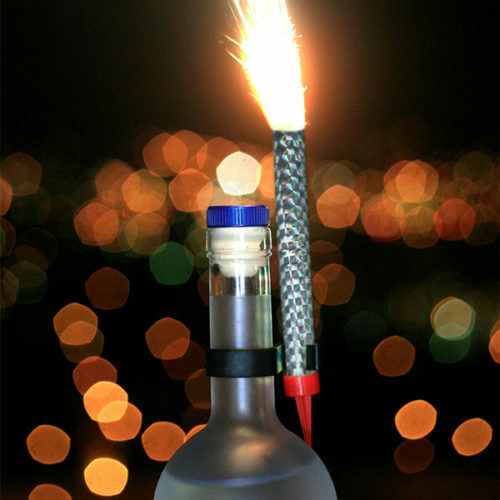 We now carry our exclusive premium LED bottle sparkler line offer all of the key features of traditional ones without the open flame. They attach to our safety clips in the same way, so there’s no need to buy new accessories. Best of all, the LED version is reusable over and over and last a long time. It’s worth noting that there are more upfront costs. 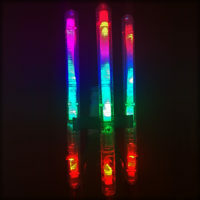 However, you can actually save a lot of money over time by choosing our LED versions over traditional champagne sparklers for premium packages. After all, they are completely reusable. 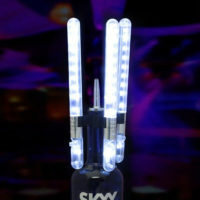 We offer a variety of LED items to enhance your bar or nightclub. We mentioned replacing gold sparklers with our LED versions already. However, there are other ways to add excitement to your venue. 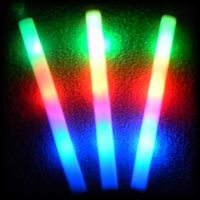 Another popular item is our LED foam sticks. They feature multiple lighting modes for a variety of cool effects. It’s a great way to add energy to your dance floor and create a fun vibe throughout your club. Also, they make for a great birthday gift; especially for children or people who like to party. If you’ve ever had a negative customer service experience, you know how frustrating it can be. Most companies try to make excuses or place the blame elsewhere. You will never have that happen with us! We are available to address issues or concerns during our extended business hours. That allows us to to handle any issues that arise in a way that is convenient to our customers. Additionally, we answer each email or phone call with a real response. No recordings, automated responses, or endless phone trees. We follow the golden rule, and nobody likes to feel like just another order number. We have been in the champagne bottle sparkler business for several years. 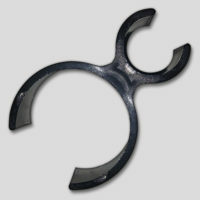 We have refined our product line with the highest quality and most affordable styles of products. This gives our customers the best buying experience possible. We hand select every item that we sell to ensure the customer is getting the best quality for their money. Also, we have an amazing relationship with our suppliers. This allows us first choice when new product variations roll off the assembly line. That’s how we ensure that we always have the best items and never any factory-seconds. We also offer the best quality champagne bottle sparklers at the lowest possible prices. No other company can offer the same value. Pair that with our top-notch customer service department to handle any questions or concerns about your order and you get the best quality products with your complete satisfaction in mind – guaranteed.